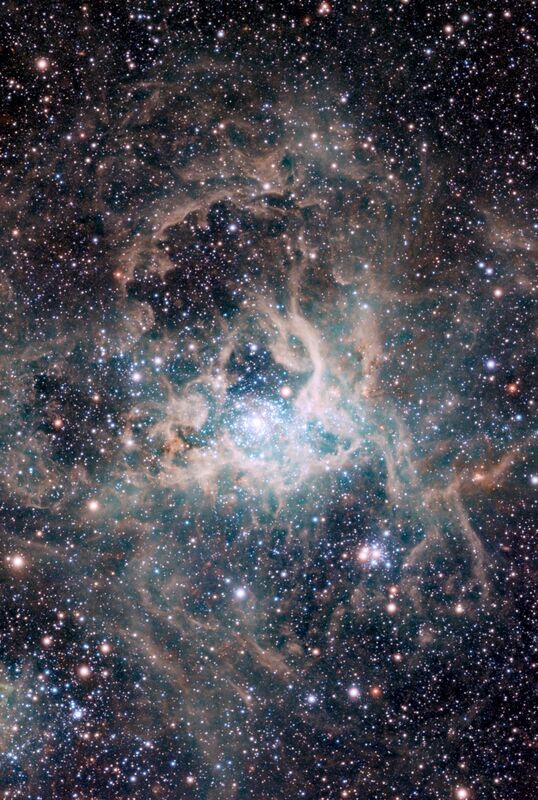 The leader of the survey team, Maria-Rosa Cioni (University of Hertfordshire, UK) explains: "This view is of one of the most important regions of star formation in the local Universe, the spectacular 30 Doradus star-forming region, also called the Tarantula Nebula. At its core is a large cluster of stars called RMC 136, in which some of the most massive stars known are located." ESO’s VISTA telescope is a new survey telescope at the Paranal Observatory in Chile (eso0949). 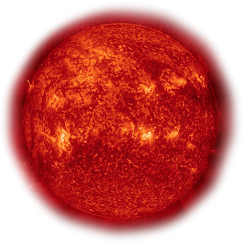 VISTA is equipped with a huge camera that detects light in the near-infrared part of the spectrum, revealing a wealth of detail about astronomical objects that gives us insight into the inner workings of astronomical phenomena. Near-infrared light has a longer wavelength than visible light and so we cannot see it directly for ourselves, but it can pass through much of the dust that would normally obscure our view. This makes it particularly useful for studying objects such as young stars that are still enshrouded in the gas and dust clouds from which they formed. The wide-field image shows a host of different objects. The bright area above the centre is the Tarantula Nebula itself, with the RMC 136 cluster of massive stars in its core. To the left is the NGC 2100 star cluster. To the right is the tiny remnant of the supernova SN1987A (eso1032). Below the centre are a series of star-forming regions including NGC 2080, nicknamed the “Ghost Head Nebula”, and the NGC 2083 star cluster. 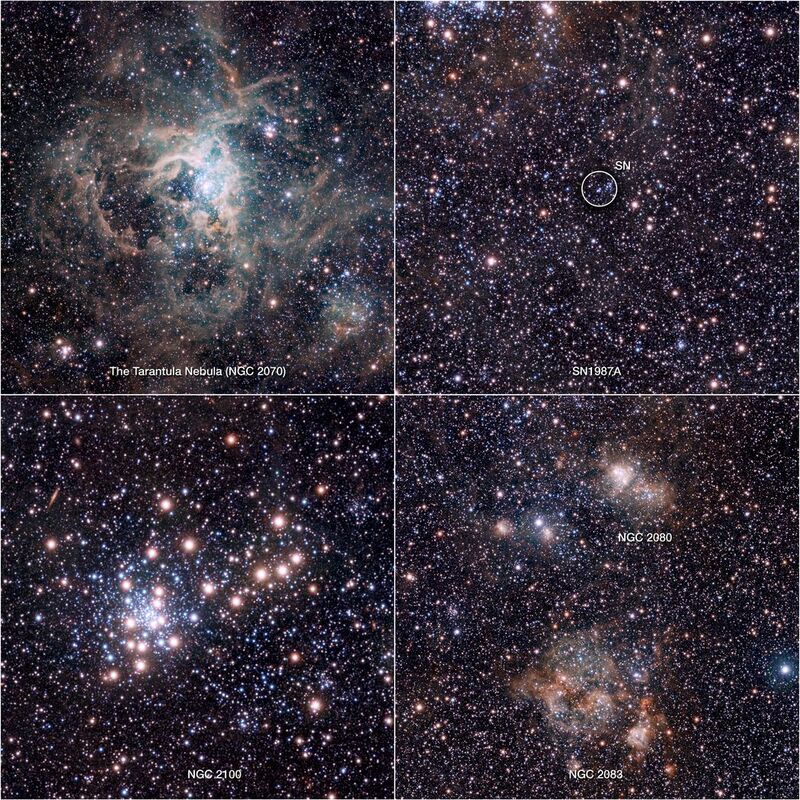 The VISTA Magellanic Cloud Survey is one of six huge near-infrared surveys of the southern sky that will take up most of the first five years of operations of VISTA. EStou sem palavras, simplesmente maravilhado com esta postagem. MAGNÍFICA.